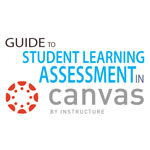 K-State Online Canvas offers several assessment tools you can use to track and improve student learning in your courses. To ensure that your assessments are set up correctly, K-State’s Office of Assessment is offering Course Assessment and Program Assessment training on Thursday, Sept. 24. The Course Assessment and Program Assessment training will be in 301A Hale Library. Course Assessment, 10 a.m. to 11 a.m. Program Assessment, 2:30 p.m. to 3:30 p.m.